E-commerce companies in India are exploring the idea of setting up offline stores in smaller towns as they look to grow their customer base and improve logistics in the unmapped areas. Rather than investing in their own stores, e-commerce marketplaces are partnering with local merchants who can assist offline buyers in purchasing goods online. Amazon began its assisted commerce programme, Udaan, in 2015 while rival Flipkart is mulling doing the same now. “Project Udaan is going to play a key role in our effort to make Amazon accessible within a few minutes to all our customers. We believe that the initiative has the potential to be a game changer for Amazon in India,” said the US retailer in a statement. The move to tap offline stores in small towns comes as e-commerce marketplaces begin seeing a larger chunk of their sales coming from outside the six large metros. During its five-day Big Billion Days sale earlier this month, Flipkart said over 65 per cent of its orders came from Tier-II and below towns. Amazon claims it sees a similar percentage of sales coming from non-metro cities and rural areas. The company said it received orders from 90 per cent of all serviceable pincodes in India during its five-day festive sale, during which it sold 15 million items on its platform. Udaan is present in 18 states across 188 locations and services over 700 pincodes, according to Amazon. It has partnered with sellers as well as hundreds of local stores. Amazon trains store owners to help customers browse its website on a PC and buy products online. Flipkart declined to comment for this story. “Consumer goods sales are concentrated in bigger cities. This is why it still makes economic sense for a retailer to set up stores in bigger towns even though there’s a lot more competition. But it (online-to-offline retail) is feasible, because you don’t have products sitting in small markets locked away there,” said Devangshu Dutta, chief executive at consulting firm Third Eyesight. The efficiencies that e-commerce bring in could finally open up India’s rural markets to retail, but there’s still a looming question of whether there is actually any demand here. Dutta adds that a critical mass needs to be reached where availability of products pushes demand and vice versa. Flipkart and Amazon might be the largest e-commerce players to be exploring taking the offline retail route to enter India’s hinterland, but they aren’t the only ones doing so. Storeking, an e-commerce firm focusing on serving India’s rural areas, has partnered with large players Amazon, Flipkart and Snapdeal to bring online buying to rural areas. Storeking says it has partnered with over 25,000 offline stores across 100 districts and services around 10 million customers a month. Apart from facilitating commerce, Storeking also gathers intelligence on customer needs in each region, helping it reach brands and cut exclusive deals with them to serve rural customers. Xiaomi, one of the largest smartphone manufacturers in the world, has partnered with Storeking to bring its Redmi 3S+ smartphone to offline stores in small towns and villages. E-tailers are not the only ones pushing retail offerings to customers in rural India, with the government being one of the biggest advocates of this. 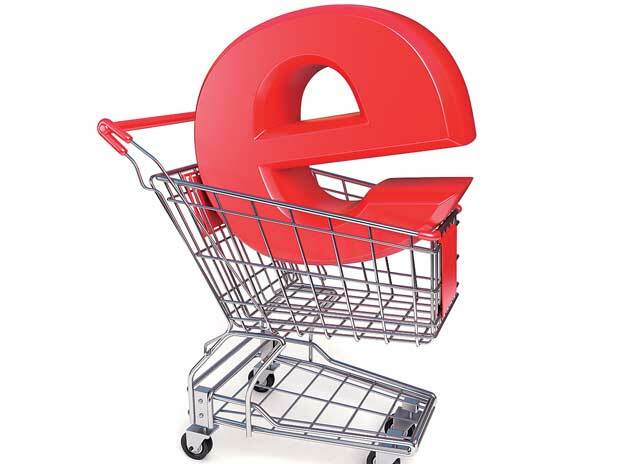 By lending a hand to e-commerce players by giving them store access at its many e-Mitras, the government is looking to kick-start rural commerce and create more employment. When Amazon signs up a merchant as a partner for Udaan, it trains him and shares a commission for every sale. In turn, merchants act as a front for customers in small towns and villages to shop online, while their stores act as delivery and pickup points, making it much easier to sell goods.